Selecting previously unselected package linux-image-3.11.0-12-generic. 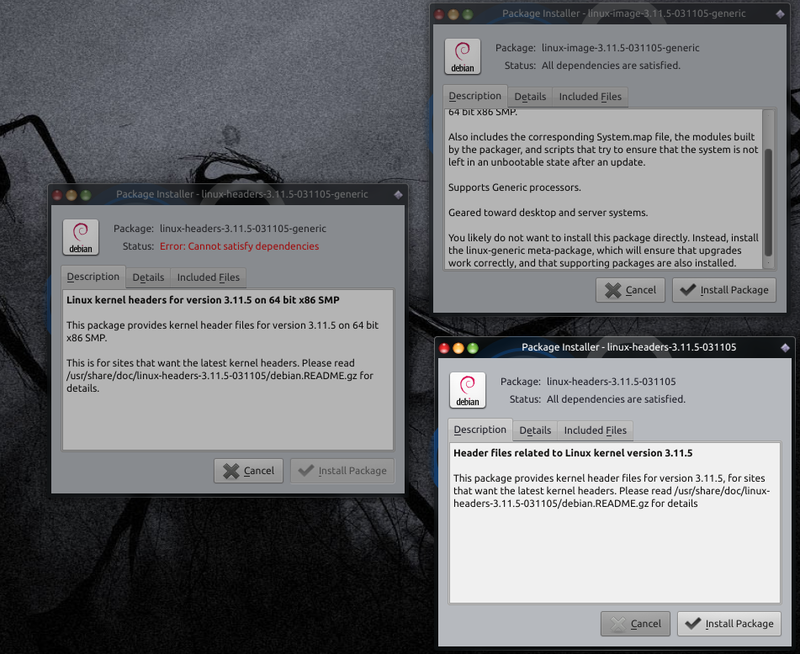 Selecting previously unselected package linux-image-extra-3.11.0-12-generic. Selecting previously unselected package linux-headers-3.11.0-12-generic. Failed to process /etc/kernel/postinst.d at /var/lib/dpkg/info/linux-image-3.11.0-12-generic.postinst line 1010. Package linux-image-3.11.0-12-generic is not configured yet. Package linux-image-extra-3.11.0-12-generic is not configured yet. I have tried manually installing, I tried a few different kernels, all saying the same thing. I guess that there is a common dependency somewhere. Any idea what would be common to all kernels? I installed Ubuntu 13.10 in VirtualBox to check dependencies. And all dependencies are ok. It appears not to be kernel specific, rather something missing in the packages. I have tried to manually install all dependencies, but still no joy. I booted the system into console. Uninstalled the kernel, uninstalled Unity, purged Gnome, uninstalled Nvidia. Then reinstalled everything, it then started working. I would not suggest this to anyone! In the end the system worked, but with some application errors. So I decided on a fresh install, after backing everything up. Not the answer you're looking for? Browse other questions tagged upgrade kernel 13.10 or ask your own question.